Two bands to improve throughput and coverage. Reduces co-channel interference. Greatly reduces RF interference and enables denser AP deployments. Allows wireless clients to move freely, jumping from AP to AP without losing connectivity. 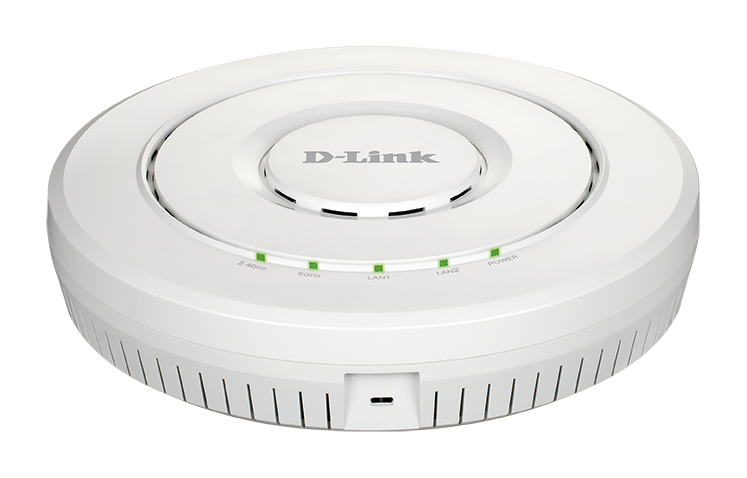 Used as a standalone wireless access point, self-configuring cluster or managed centrally via a D-Link Wireless Controller. 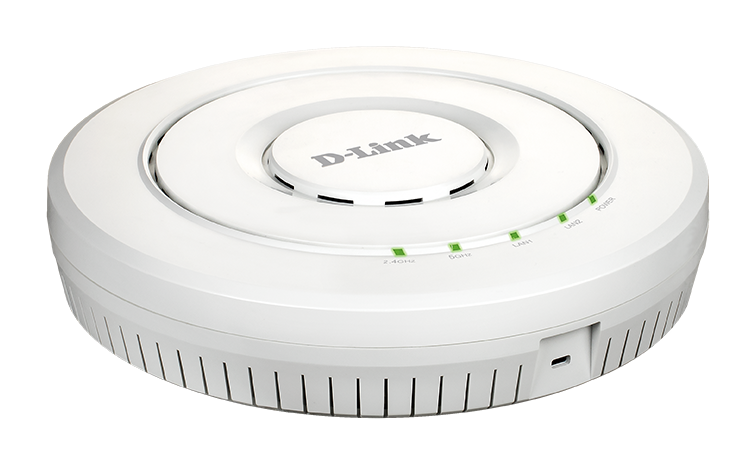 The DWL-8620AP is designed for medium to large-scale Wi-Fi networks, delivering fast Wave 2 wireless speeds. It’s highly manageable, it fits into any existing network, and can be scaled to meet future wireless demands. Utilise the full potential of 802.11ac Wave 2. Provide faster connectivity with combined data rates of up to 2.5 Gbps2. It also supports Link Aggregation, which allows two Gigabit Ethernet ports to be linked together to act as a single port to double the available bandwidth and maximise the access point’s overall throughput. The DWL-8620AP’s 4 x 4 MU-MIMO takes full advantage of all streams to serve more wireless clients, dramatically improving wireless performance. MU-MIMO (Multi-User Multiple Input Multiple Output) simultaneously communicates with multiple clients using multiple antennas. This allows the access point to utilise the spectrum more efficiently and significantly increase the network capacity. It can be ceiling mounted or wall mounted to provide the best wireless coverage. The built-in Power over Ethernet (PoE) port makes deployments faster and means it can be installed in areas without power outlets. When working in conjunction with D-Link Unified Wireless Controllers (DWC-1000, and DWC-2000), multiple DWL-8620AP units in the Wi-Fi network can be easily and efficiently centrally managed. Radio Frequency (RF) resource management1 allows wireless coverage to be managed automatically, providing the best possible coverage for wireless clients. When access points are deployed in close proximity to each other, there may be interference between channels if RF management is not implemented. When the DWL-8620AP senses a neighbouring AP nearby, it will automatically select a non-interfering channel. This greatly reduces RF interference and allows you to deploy APs more densely. To further minimise interference, when a nearby AP is on the same channel, the DWL-8620AP will automatically adjust its transmission power1. If an AP goes down, others will increase their transmission power to expand coverage. It places clients on the optimal wireless band to avoid congestion and allows for smooth streaming of video, seamless browsing, and fast downloads speeds. Ensures equal airtime given to each client. Increases performance even if slower devices are connected. Allows the wireless client to roam seamlessly between access points. Supports 802.1p QoS for enhanced throughput and better performance of time-sensitive traffic like VoIP and streaming DSCP. In the event of network congestion, time-sensitive traffic can be given priority ahead of other traffic.